US equity indexes closed moderately mixed, sp +1pt at 2559. The two leaders - Trans/R2K, both settled lower by -0.3%. 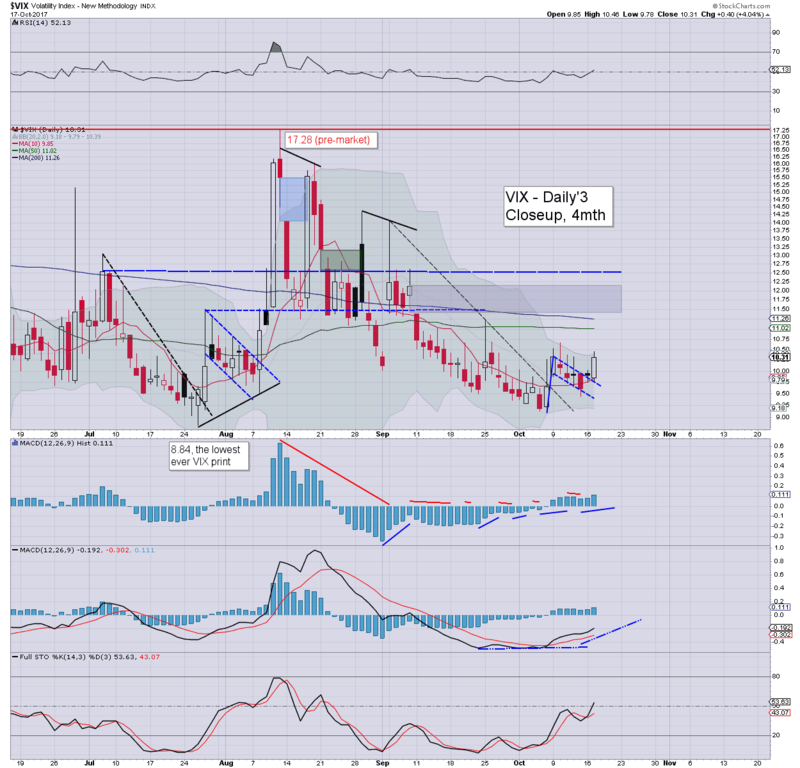 VIX settled +4.0% at 10.31. 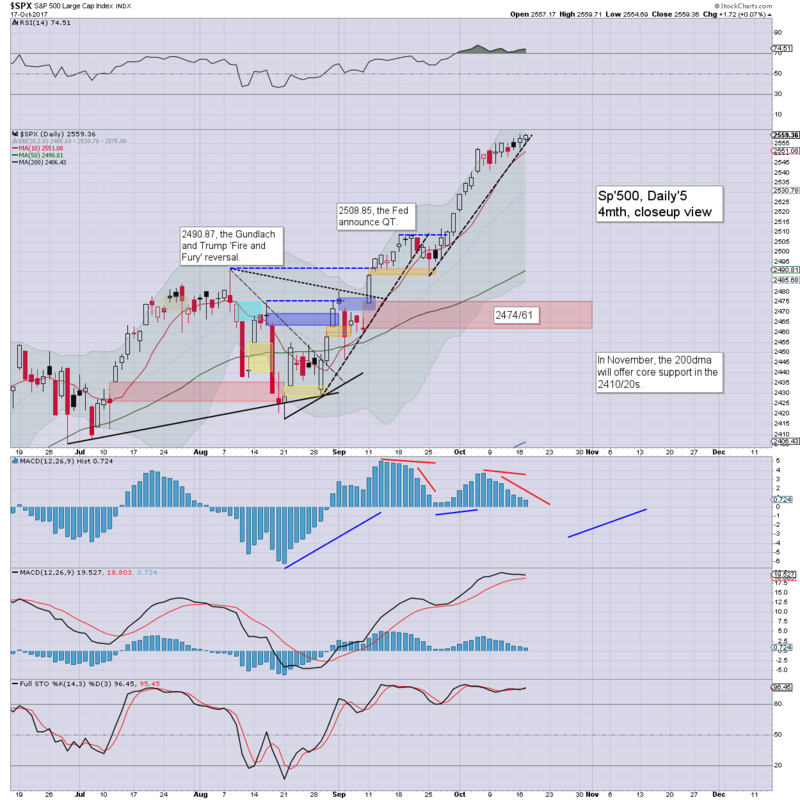 Near term outlook offers an overdue sig' break lower, with primary target of sp'2474/61. More broadly, the 2600s remain a given. US equities opened in minor chop mode, but with the Dow soon breaking above the soft psy' threshold of 23k. The mainstream does seem to be increasing focused on each 1000pts higher. This afternoon on CNBC the cheerleaders were tentatively daring to mention 'at the current rate... 25k within six months. There is still no talk of 'hyper bullish', or the notion that this could continue for some years . Its notable that whilst the Dow and sp'500 broke new highs (if fractional) the two leaders - Trans/R2K, did settle moderately weak. It could be argued they are offering an early warning of trouble. We shall see. Market volatility remains broadly subdued, although the VIX did manage a close outside of the 9s.